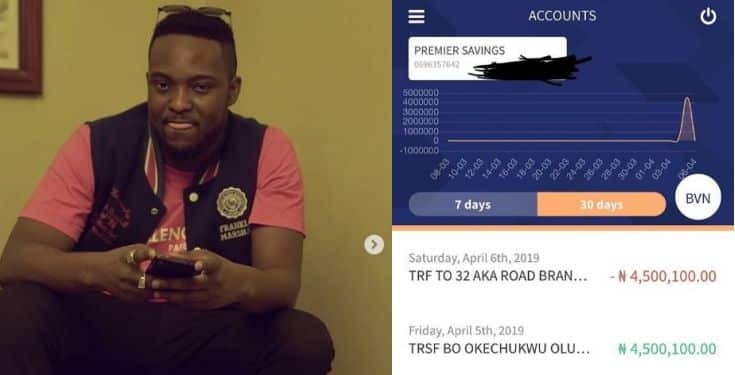 A Nigerian music producer identified on Instagram as Austynobeatz, took to the platform to recount how the sum of N4.5m mistakenly sent into his account. "So apparently someone I didn't know sent me N4.5 million by mistake to my access account and I returned it back. At first I was wandering which of clients would have sent money for a project without telling me, not until I got a notification, hmm this money doesn't belong to me. "Spoke to some friends majority said 'Guy God don send you natural wire transfer no dull yourself.' That sounded exciting at this time of the year for some. To cut the story short I returned the money back, I don't even know if it was a test from God. All I know is there's a reward for every good deeds. Sooner or later I'll find out. But I no go lie that money for sweet my belle if one of my partners had sent it to me"